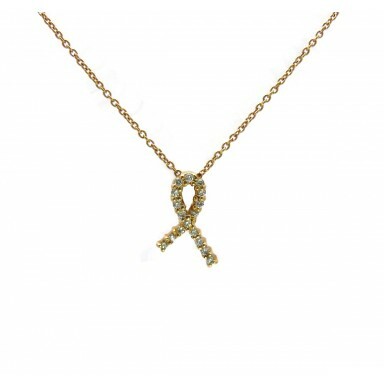 This pendant in the shape of a ribbon is set in rose (pink) gold for Breast Cancer Awareness. In add.. 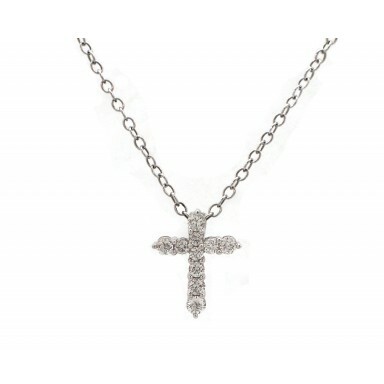 This antique style pendant features one bezel-set diamond surrounded by bead-set diamonds in a .. 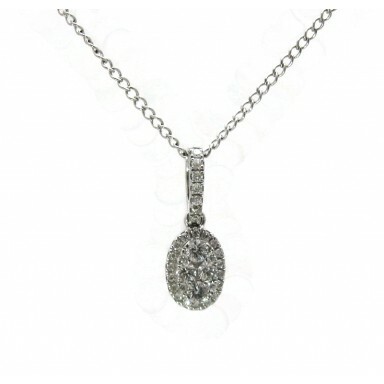 This oval cluster of diamonds is great for an everyday piece. 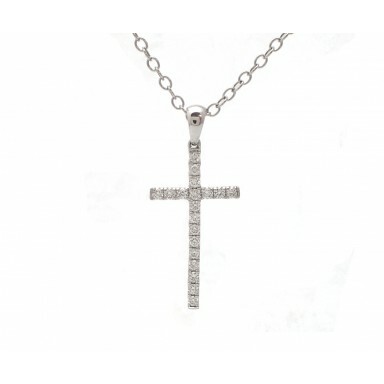 The white gold setting brings out the .. 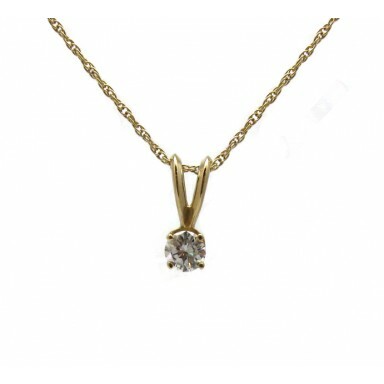 This simple round diamond pendant features a beautifully brilliant diamond set in a yellow gold sett.. 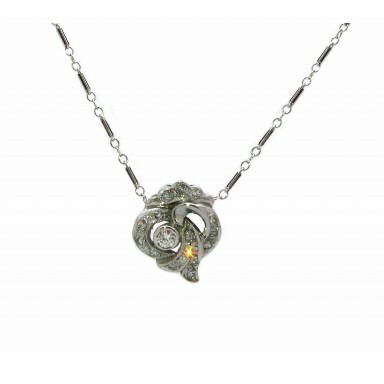 This unique circular pendant features three intertwined circles of yellow, rose, and white gold.. 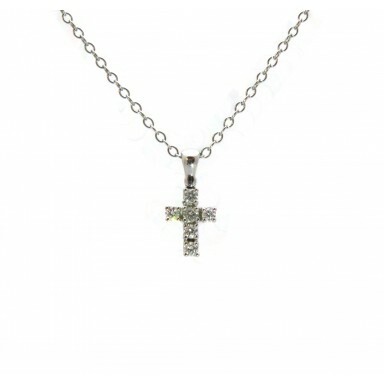 This simple diamond cross pendant is the perfect gift for the holiday season. 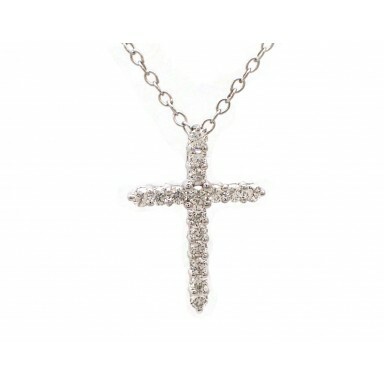 Exhibiting grace and s.. 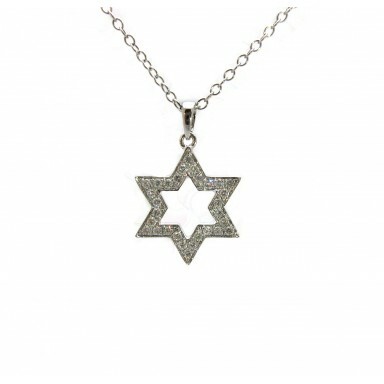 This Star of David pendant is the perfect gift for the holiday season. Exhibiting grace and sim.. 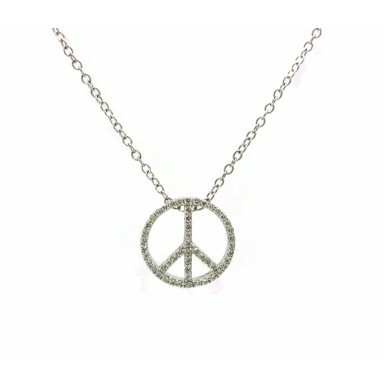 This fun “peace” pendant is set in white gold. 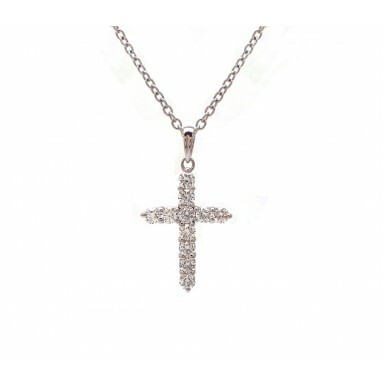 Diamonds adorning the symbol add nice sparkle. .. 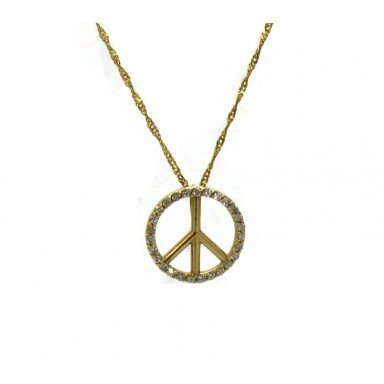 This fun “peace” pendant is set in yellow gold. 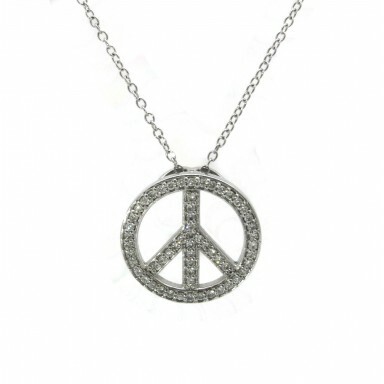 Diamonds adorn the circumference add nice spark.. 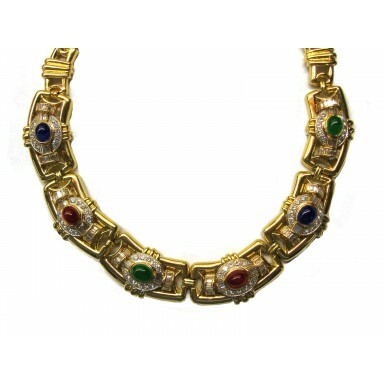 This substantial estate piece features cabochon emeralds, rubies, and sapphires set in a b..